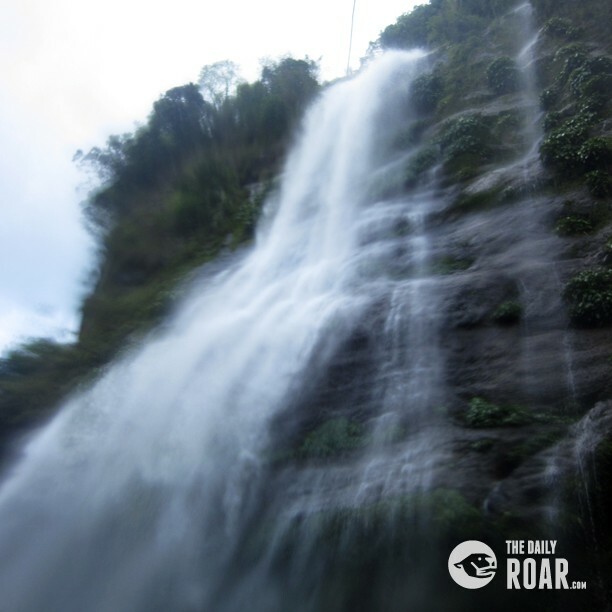 When you love waterfalls, don’t forget to include this majestic Sagada Waterfalls for it is known as “Mountain Province Pride”. 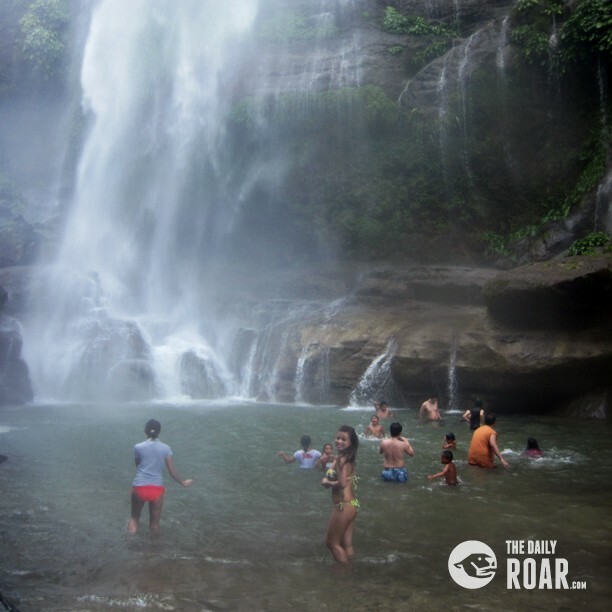 A breathtaking huge waterfall of its 200-feet tall column of water that would surely captivate your eyes once you see it splashes down on the cold pools below. Going there is not that easy for everyone who’ll want to see its beauty. 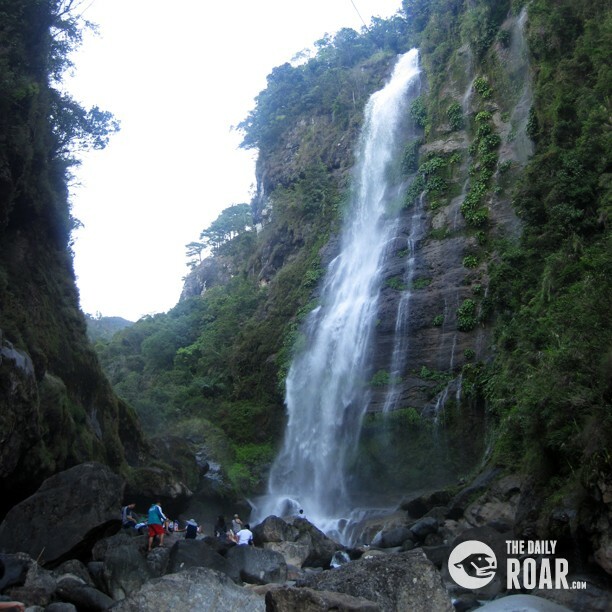 Sagada waterfalls is situated near the bottom of the mountain wherein tourist needs to hike for more than about 30 minutes from the Tourism Desk . Going there is absolutely an extreme experience; it is a combination of Mountain Hiking and swimming. 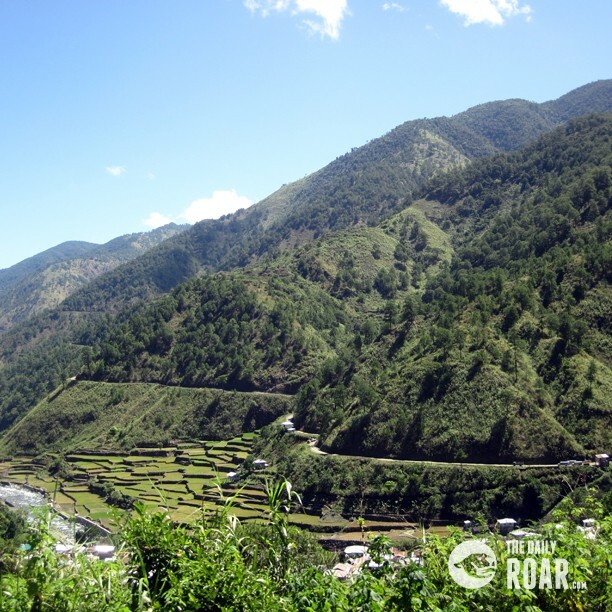 There is a guide from the Sagada Environmental Guides Association or The Northern Sagada Indigenous Guide Association to assist you in every step of your way. It was like walking marathon but what good is you’ll be entertain with fresh air and the beautiful rice terraces in its all green colors. You’ll literally walk in between of rice paddies and balance the elevated portions to the lower levels through the use of the strong stone walls of the terraces. The cleverness of these people would surely impress you. Since this a physical activity makes sure that you have enough water and a sun block with you. You will not see a lot of stores along the way. You will definitely amazed once you see this huge Sagada Waterfalls, the place was utterly majestic, the temperature was cold and it feels like I was chilling so hard when I visited this place, my jaw was totally moving as I getting closer to the waterfall, the splash of its water was totally huge and it almost cover the pool and you could even feel the splash of the water even your are few meters away from it. Once you dip into the water you ‘ll be enchant with its majestic feeling and you’ll feel that you wouldn’t want to get out of the water because of its relaxing feeling that is getting inside your nerve. If you are not a good swimmer don’t attempt to go to a deeper part or come nearer and feel the full splash of the water because you will surely lose your life. All you have to do is enjoy yourself for a few hours of swimming because you need to reserve energy for your return trip. Remember that the Falls is situated at the bottom of the mountain so it’s a steep ascent. It’s double harder than getting to Sagada waterfalls; you will spend 1 hour hiking before you reach the top but you’ll never regret it. It will worth all your tiredness! It’s more of a satisfaction once you got the chance to visit this amazing place. When going to Sagada Falls It will be advantageous if you start your trip in the early morning when the sun is still not beating hard on you. Make sure that you wear comfortable clothing so it will not be hard for you to hike. If you intend to go on swimming, bring a change of clothes. The water is inviting! There are rocks to cover you while you are changing! There is no such thing as dressing rooms or shower areas there. 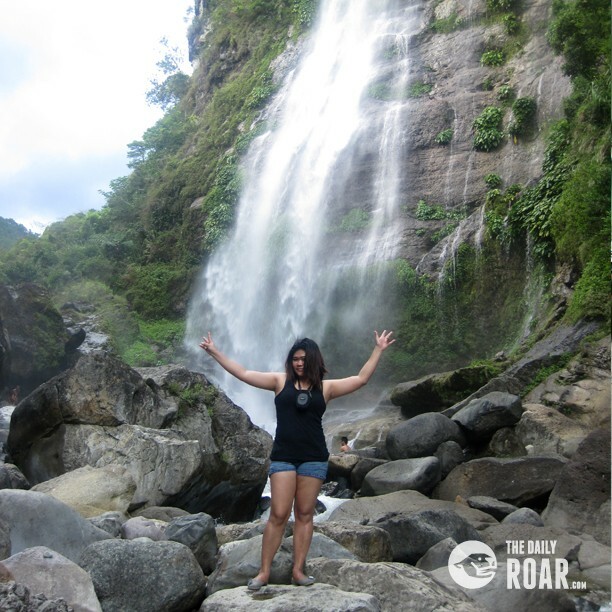 This is the awesome experience we’ve tried during the Sagada Waterfall escapade. 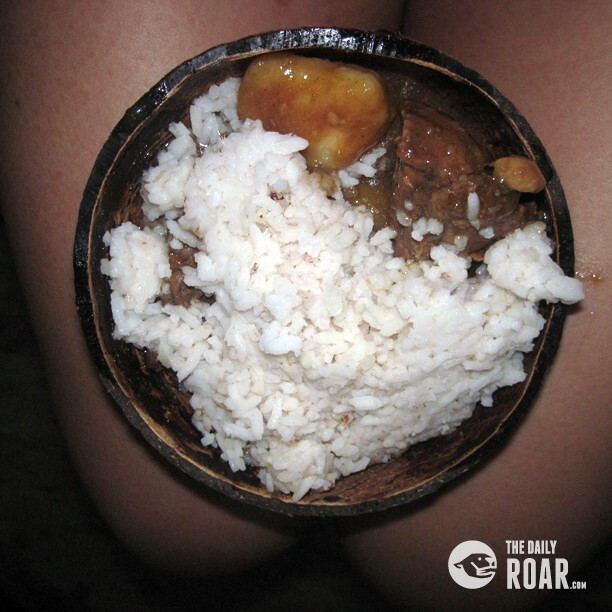 Eating in the coconut shell with the Filipino’s all-time favorite- pork adobo!. 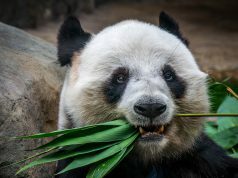 It‘s a native pig, so it’s very healthy. In this province they only raised their pigs through the natural foods, vegetables and “kaning baboy” (left –over foods) . Living in this kind of place seems to be easy. People were very accommodating and always willing to help in every possible they can. 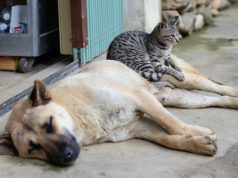 No more worries, no more pollution and most of all they are all happy and contented in the simple way of living. •	Take a bus bound for Banaue, Ifugao. Travel time is about 9 hours and fare is 450 pesos. •	As of April 2012, the only bus company that has direct trips to Banaue is Ohayami Bus Company. Their terminal is located in Lacson Avenue, corner Fajardo St., Sampaloc Manila (near University of Sto. Tomas). •	Alternatively, if Ohayami buses are full (especially during peak seasons), you can take Victory Liner or Florida Bus going to Tugegarao City in Cagayan. Alight in Solano, Nueva Vizcaya then take a jeepney to Lagawe, Ifugao then take another jeepney to Banaue. •	From Banaue, take a jeepney to Sagada. Travel time is around 3 and a half hours (with several stops), fare is 250 pesos. There are no major hotels in Sagada—or major anything, for that matter—but inns and transient homes offer rooms for P150 to P250 a night. The most expensive room you’ll find here is P300 per night. Tip: Even with a water heater, baths can get uncomfortable. The weather is so cold that hot water cools quickly after touching your skin, and you’ll be shivering in no time. If you’re just staying for the weekend, take a sponge bath or skip it altogether.